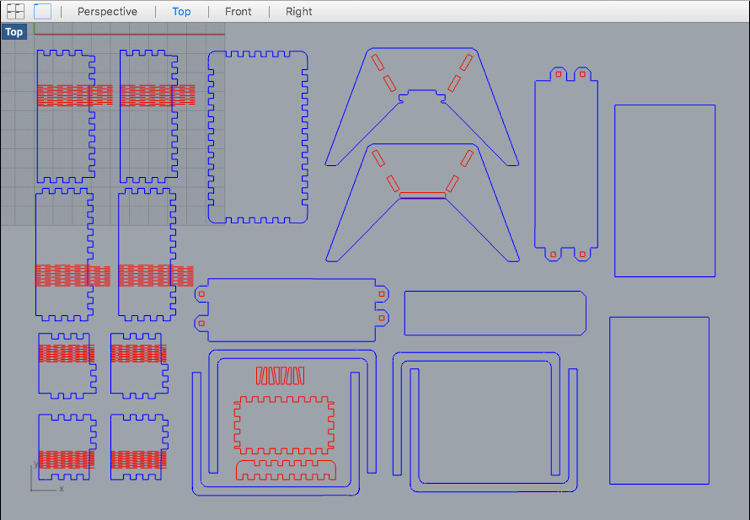 The kit to make the cabinet that houses the acquaponic system is designed to be laser cut, while the code for controlling the Arduino is on Github. Since it is also designed to be installed indoors, LEDs complete the set-up. 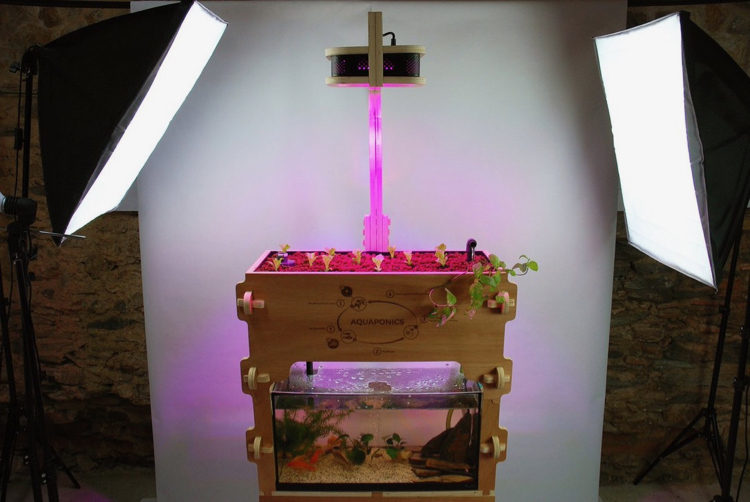 Aquapioneers promotes local, and therefore ecological, production: acquaponics is almost twice as efficient as growing in soil and can save up to 95% of water. It advocates healthy eating and provides fablabs with an all-in-one educational project. Guillaume Teyssié, 28, and Loïc Le Goueff, 29, met in January 2016 in Barcelona at the Green Fab Lab at IAAC (Institute of Advanced Architecture of Catalonia). Guillaume was working on the kit during his internship at the Fab Academy, and Loïc was writing his thesis on aquaponics at the Autonomous University of Barcelona. 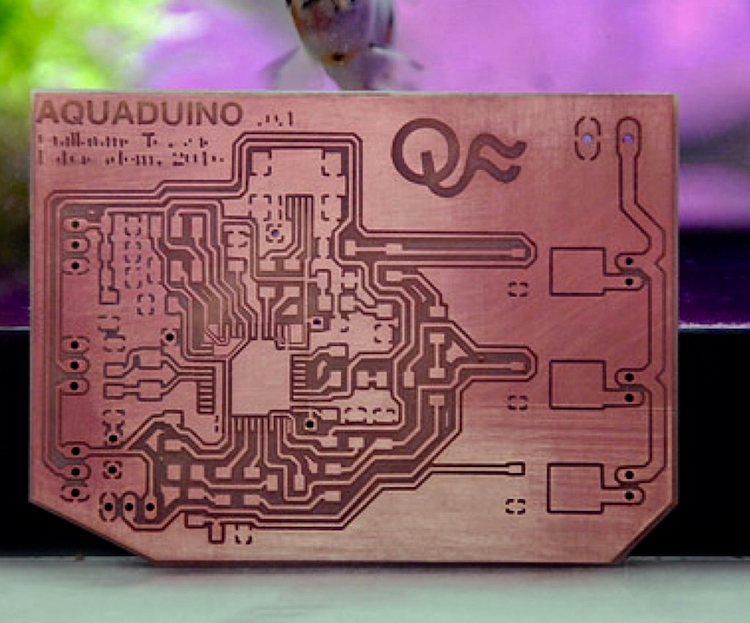 After several proofs of concept, they founded Aquapioneers in June 2016 and moved into the Valldaura research center for self-sufficiency (which includes Green Fab Lab). In September, the kit was adopted by the first lab outside Spain, the Sinergia Tech fablab in Montevideo, Uruguay. 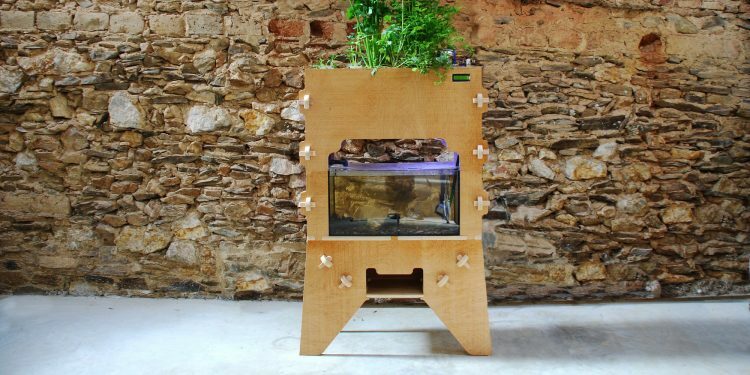 As the Green Lab is part of the Fab City network, the project is supported in a video by Tomás Diez of Fab Lab Barcelona in Aquapioneers’ crowdfunding campaign in progress on Ulule. Expanding the kit is the map of fablabs that signed the charter of the Fab Foundation, which also supports the project. According to Guillaume, “Contributors will help us secure the resources to open source the files and documentation for everyone.” A few weeks after the campaign ends, the files will be registered in the public domain (CC-BY-NC 4.0). Contributors will be treated to a few extras: participation in workshops, on-site installation, etc. Afterward, there’s the corporate client, team building, well-being. “We had a first successful experience with Schneider Electric, for their Barcelona offices,” says Guillaume. 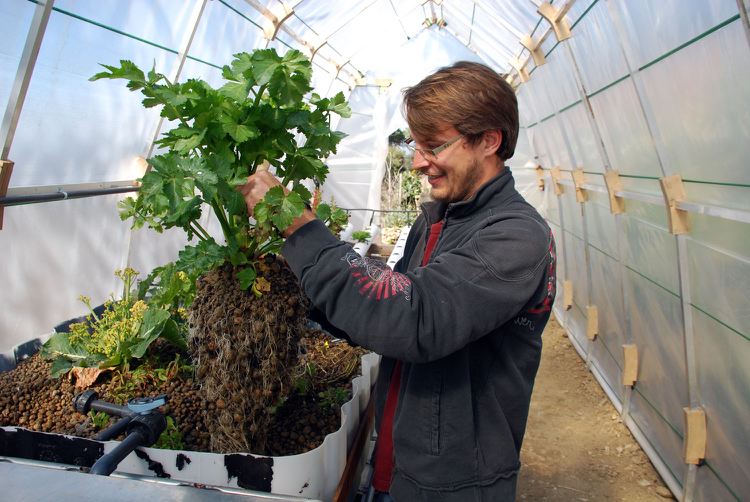 He and Loïc are also counting on their expertise to accompany large systems of aquaponic farms. “Once our economic activity is stable, we’ll keep the open source and school part under the organization umbrella and migrate the business part under a cooperative,” Guillaume concludes.